The grapes for the De Grendel Op Die Berg Pinot Noir 2015 come from a specially created Wine Appellation Op die Berg, just short of 1000 metres above sea level on the Witzenberg Mountain in Ceres. No maritime influences here, it has winter temperatures which often go down under below freezing point. The Graaff Family who own De Grendel, farm apples and pears in this magical place of hotter days and cooler nights during the ripening season. Slower ripening, meaning greater concentration of fruit and flavour. And later ripening than the grapes on the De Grendel Estate in the Tygerberg. The 2015 vintage is lauded as the best recent harvests by many, and De Grendel is showing its mettle with its 2015s. The soft, well drained, yellow shale soils, produce De Grendel’s excellent Pinot Noir grapes. As the vines mature, each successive vintage exhibits a more perfumed bouquet on the nose, complimenting earthy, fynbos and berry nuances. In winter, the vineyard soil is often covered in a layer of snow, a picaresque promise of renewed spring growth. The grapes for the De Grendel Op Die Berg Pinot Noir 2015 were harvested by hand and then brought to the Cellar on the Tygerberg Hills. 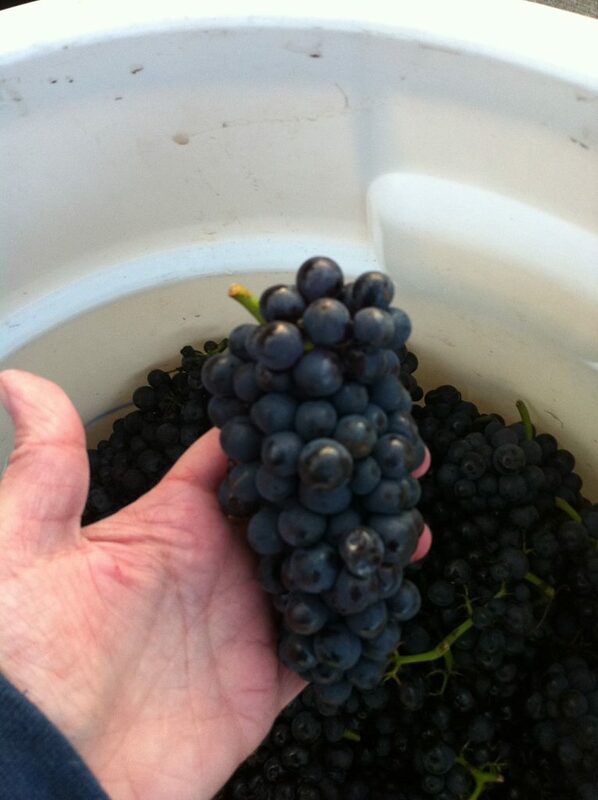 Here the bunches are sorted by Charles Hopkins and the cellar team, destemmed and then crushed. This is followed by 4 days of cold maceration before the fermentation process started. The fermenting must was gently punched down 3 times a day and night, with an aerated pump over halfway through fermentation. Once the fermentation was complete, the grapes were then pressed in a basket press for soft extraction. The wine went into new French oak barrels for malolactic fermentation and was then taken to a mix of previously filled barrels for 13 months before being prepared for bottling. Bottled under superior screw cap in a Burgundy shaped bottle with the elegant De Grendel livery in black and gold. In the glass, it is a gem bright translucent ruby at the core which pales out to cherry garnet at the edges. Aromatic berries, cherries with bosky notes. Each vintage displaying more character than its predecessor. So complete in every way. Sappy raspberry and roadside bramble flavours with cashmere clad tannins underpinned by a frisky acidity which is so interwoven with the fruit and the oak and tannins in the long and gently waning aftertaste. Very refreshing and inviting. Chill it for about 30 minutes before serving. Good as a glass on its own with a silken hummus dip. I always remember that this is the wine of Coq au Vin and Boeuf Bourguignon so it is capable of taking on food with great flavour. 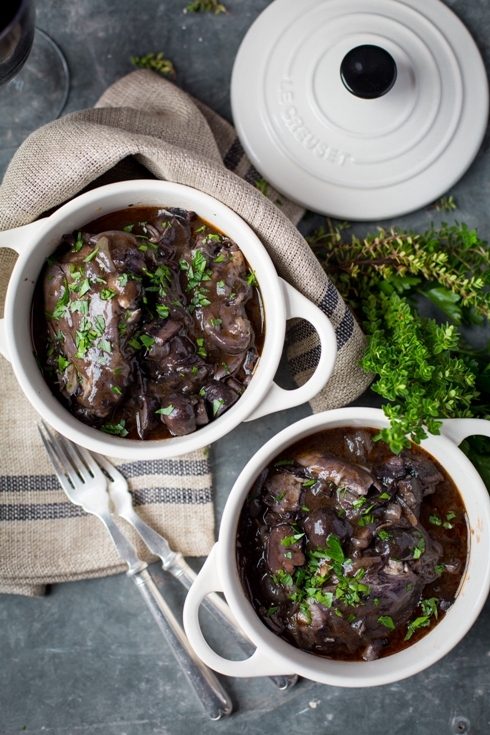 Ilse van der Merwe’s Classic Coq au Vin makes an excellent partner to this wine. Click here for her recipe. 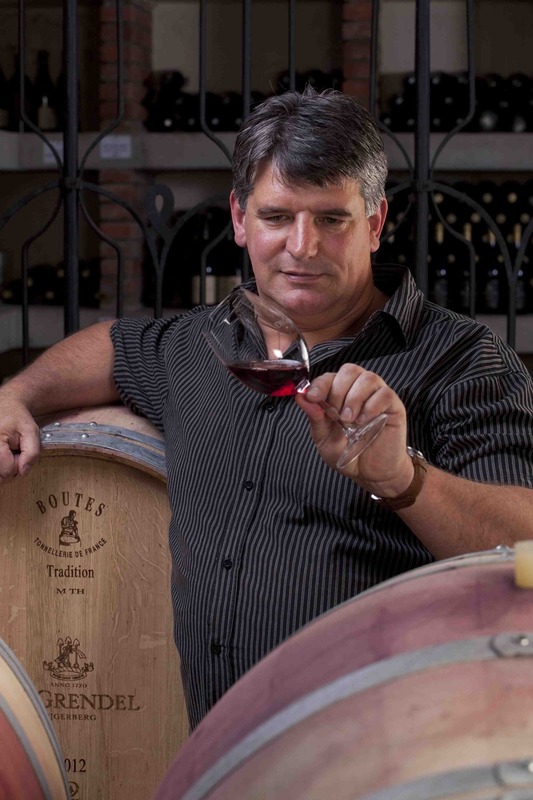 If you are close by, do visit the Estate and have a meal in the De Grendel Restaurant where Ian Bergh the chef has many offerings which would go well with this wine.